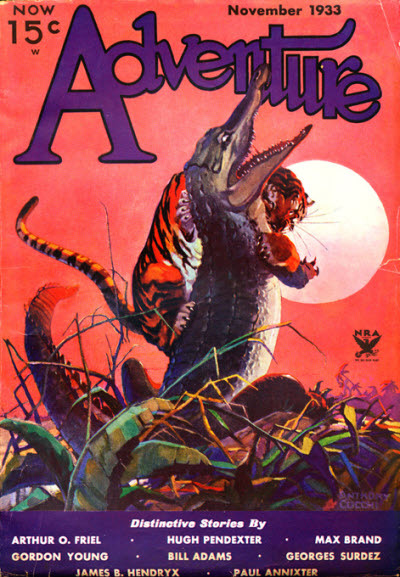 A wonderful cover by A. R. Tilburne, and stories from Dan Cushman, Caddo Cameron and Wilbur S. Peacock - all great authors. 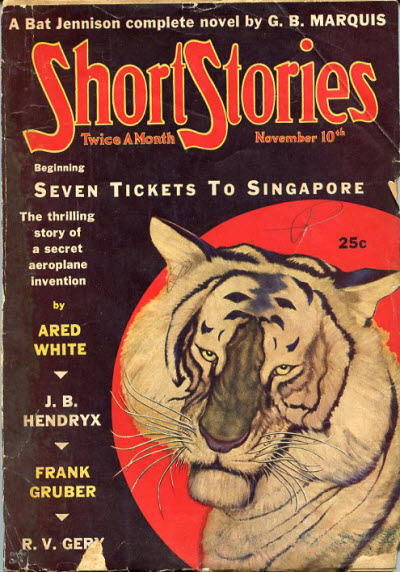 This is one I have. 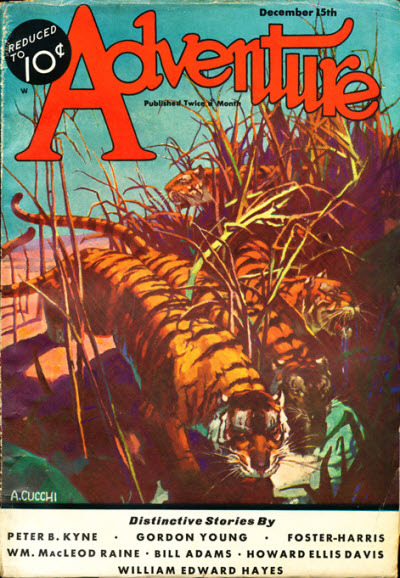 or share your personal favorite tiger cover. 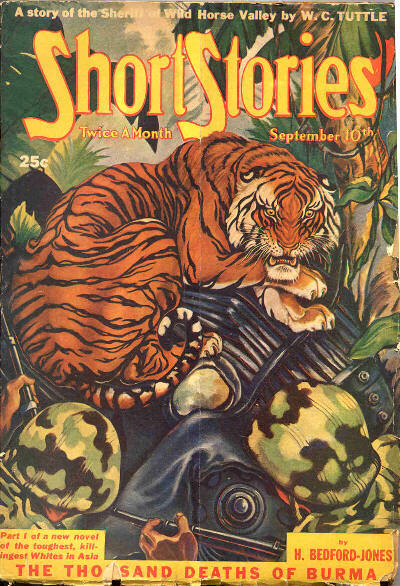 Thanks for reminding us about International Tiger Day. I'll take the day off and celebrate. Though come to think of it I have everyday off already. The WEIRD TALES cover reminds me that I saw the original painting on display at an early Pulpcon in the 1970's. 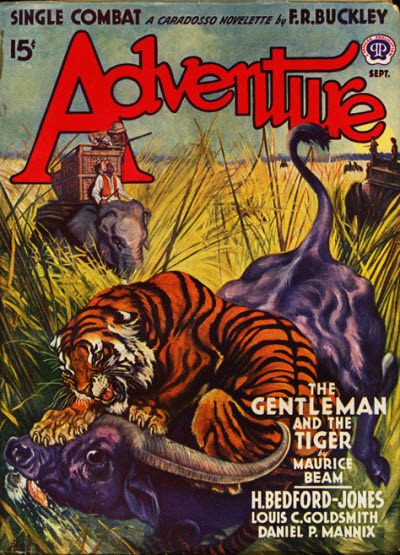 Darrell Richardson, who liked to refer to himself as The Old Tiger, owned it. I haven't seen any of them in person. 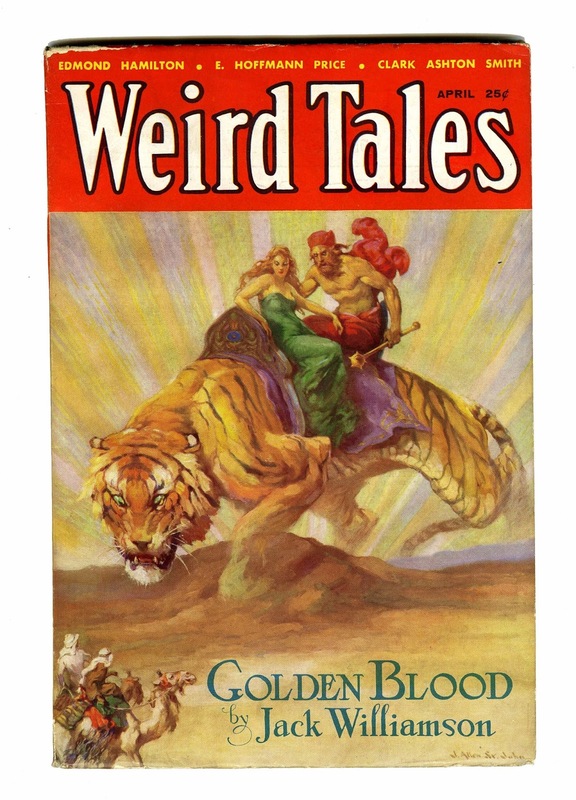 The closest I came to the Weird Tales cover was when the Robert Lesser Collection of pulp art was being exhibited: The Weird Tales painting is #7 in the slide show. 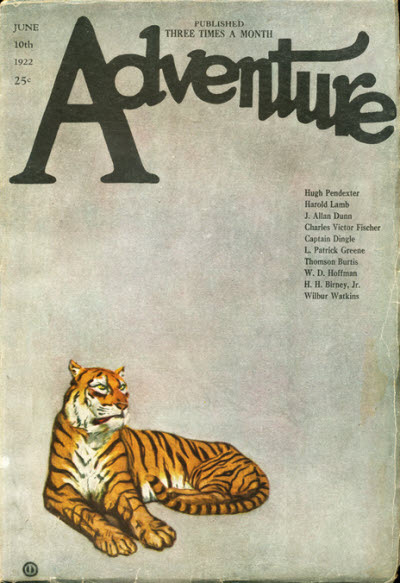 Matt Moring over at Altus Press has more photos from the exhibition, but no more tigers. 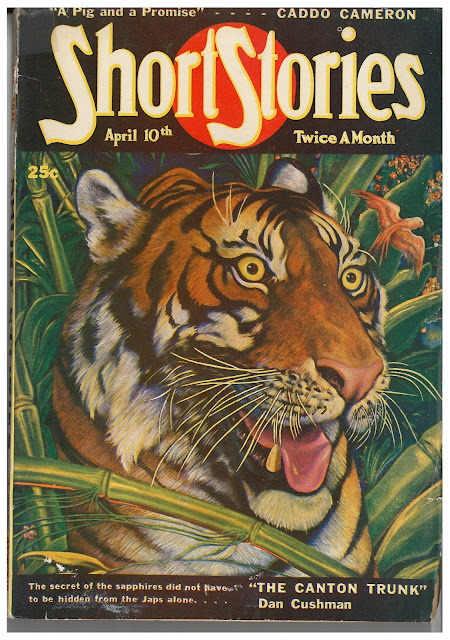 I remember Bob Lesser telling me about how he visited Darrell Richardson and bought the WEIRD TALES painting. 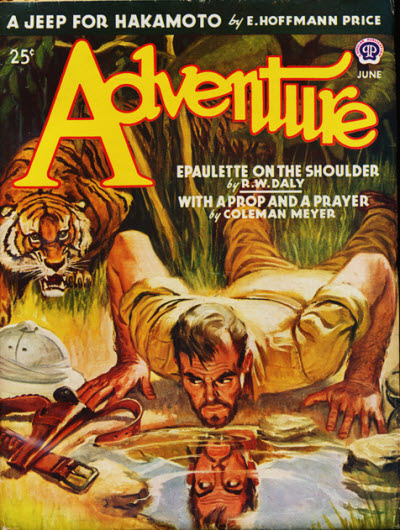 Darrell went on a trip around the world with the money. 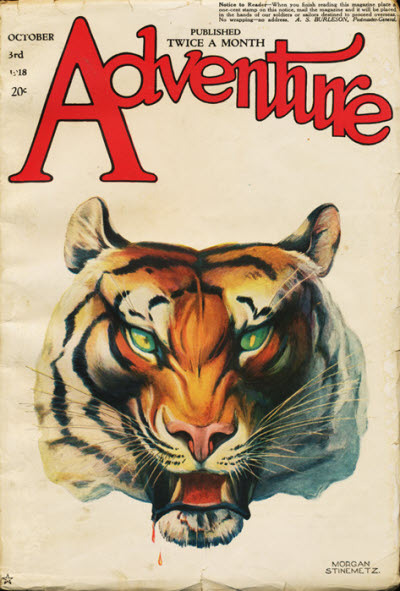 The new issue of ASIMOV'S SF magazine has a tiger on the cover, the September 2015 issue. 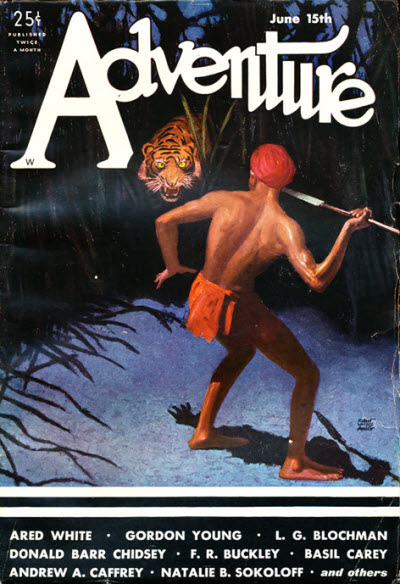 http://www.asimovs.com/current-issue/ has the picture. Coincidence? 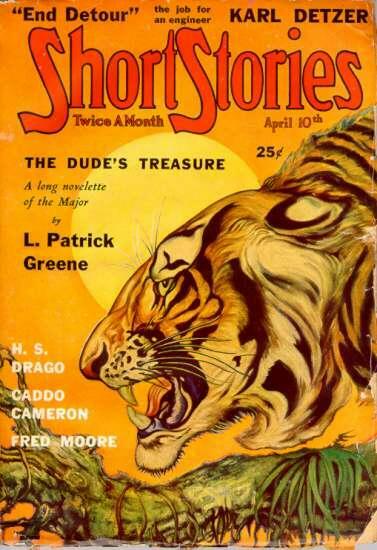 All of the tiger covers are great, but the WEIRD TALES tiger is the best, no doubt about it. Yes, it's wonderful, but I'll reserve my opinion till I've seen the painting in person. I hope to do that someday.